Running a small business can be an all-consuming activity, but there comes a time when even the most passionate business owner needs to call it a day. When that day comes, due to retirement, ill health or a better opportunity, you need an exit plan. A succession (or exit) plan outlines who will take over your business when you leave. Whether it’s a family member, an employee or an outside buyer, the earlier you begin planning the transition the smoother and more profitable it will be for everyone involved. Given that the average age of small business owners is 55, with an estimated 81 per cent planning retirement in the next 10 years, the clock is ticking. 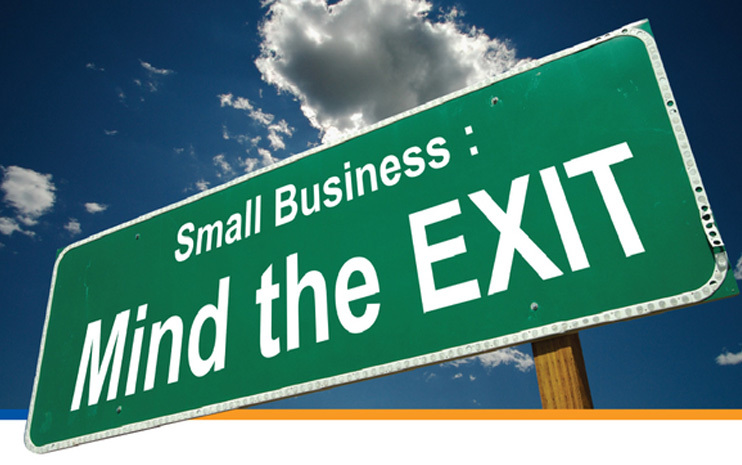 Yet a survey carried out by RMIT University found that three-quarters of small business owners lack an exit strategy. There are a number of reasons why this may be the case, including reluctance to hand over control, difficulty choosing among children or simply a case of relegating the issue to the too-hard basket. Family-run businesses often hope to keep it all in the family by handing the baton to the next generation. Handing control to an adult child or another family member does have advantages provided they are qualified and willing to accept the role. It ensures the founder can maintain some influence over the company and have the satisfaction of knowing that their life’s work will benefit future generations. Unfortunately, family members often have other plans. Consulting family members about their ambitions and concerns should be central to any succession plan. A written document with information about roles and responsibilities of all family members and mechanisms for transferring ownership and leadership helps keep the spotlight on the business rather than family relationships. Having worked hard to succeed, owners may fear the business will lose momentum in the hands of a less-experienced successor. Grooming a new leader is a continuous process—it begins long before a business owner steps down and ends long after a successor takes the reins. It requires careful planning, professional guidance and a long lead time. Successors need to be exposed to all aspects of the company’s operations and sufficiently trained to be qualified for the top job. A gradual handover whereby owners maintain a mentoring role allows successors to develop necessary leadership skills. Sometimes the preferred option for an owner is to unlock maximum value from the business by selling up and moving on. According to a recent PricewaterhouseCoopers survey of 90 Australian businesses, only 24 per cent will hand over to the next generation, down from 38 per cent in 2012. An improved market for business sales since the global financial crisis has heightened the appeal of selling to a third party. Small firms with fewer than 20 employees generated $3.4 trillion in private business sales in 2012, and the upward trend has continued. In 2014, 38 per cent of owners wanted to sell or float their family business compared to 34 per cent in 2012. Having an independent business valuation and senior management and staff in place are among the factors that make a business easier to sell. The most popular sale options are a trade sale, stock market float or a management buyout. The least attractive option is to liquidate the company’s assets and close the business. Liquidation is often the default position of owners who avoid the issue of succession planning until it is too late. Not only can this be costly but it is unlikely to raise as much money as the sale of the business as a going concern. A well-designed succession plan can make exiting your business as rewarding as starting it in the first place. If you would like to get the process started, don’t hesitate to give us a call.